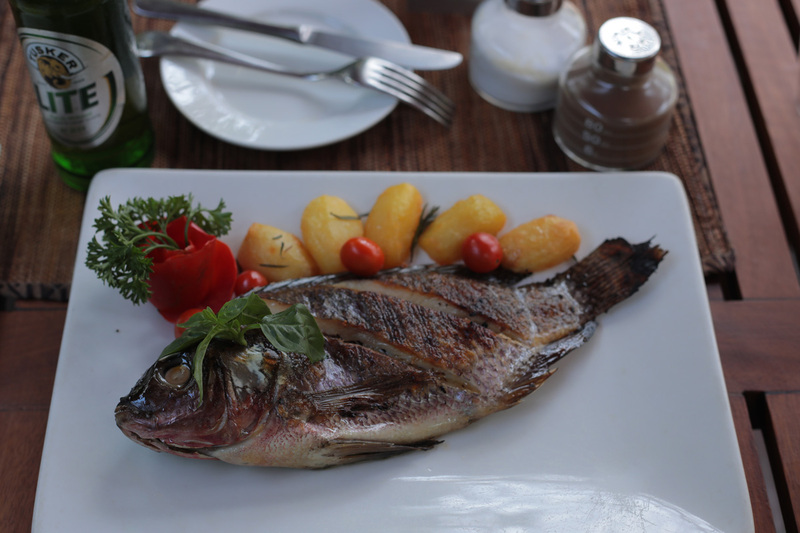 Whole tilapia baked in the oven with cherry tomato white wine and potatoes. 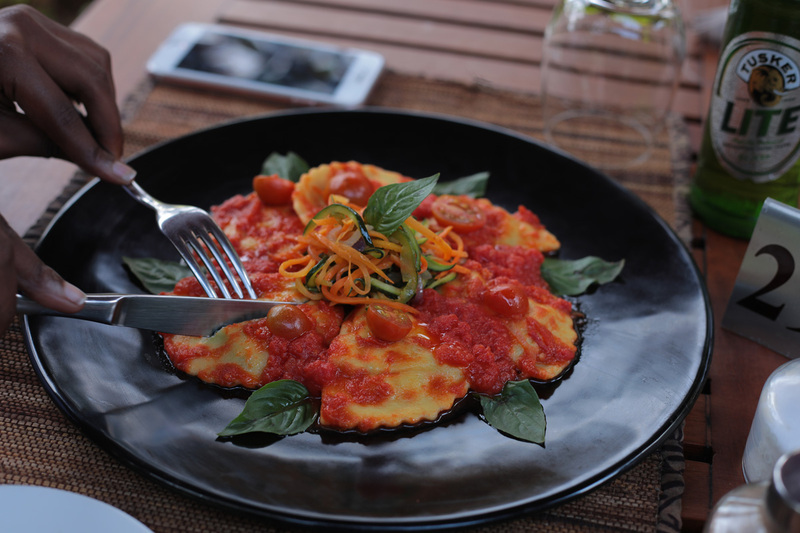 Homemade ravioli stuffed with ricotta cheese, served with fresh tomato and vegetable. 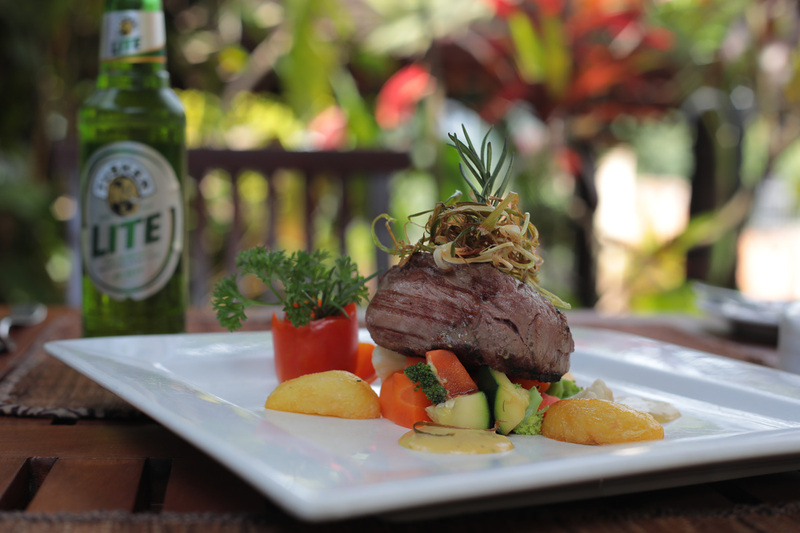 Beef fillet steak with sun dry tomato mustard demie glace bacon served with braised vegetable and roasted potatoes.